After Peepli [Live], Anusha Rizvi and her husband Mahmood Farooqui had announced another film, Opium, based on the novel Sea Of Poppies by Amitav Ghosh. Anusha told The Time of India that the script has been ready but they are still looking for financiers to back the project. Opium’s story is about Indian farmers around Barabanki in UP and Bihar in the 19th century who were forced to grow opium by the British which was then pushed into China. The film is the story of four people who meet on a ship. Anusha said that this will be an expensive film to produce. They plan to shoot the film in Kolkata, Lucknow and Bihar. 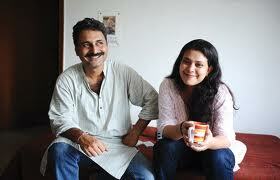 Anusha is also scripting Aman Sethi’s award-winning book, The Free Man. This book delves into the life of a daily wage earner in Delhi’s Sadar Bazar area. Posted in Book, News and tagged A Free Man, Aman Sethi, Amitav Ghosh, Anusha Rizvi, Barabanki, Bihar, China, India, Novel, The Sea of Poppies. Bookmark the permalink.